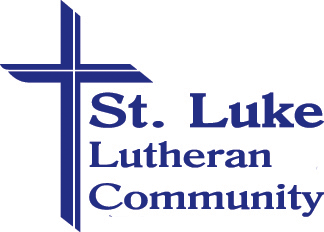 At St. Luke Lutheran Community our mission is to provide faith-based services to enrich the lives of older adults. Providing housing, care and services in a not-for-profit, comfortable, safe, secure, aesthetic and home-like environment. Meeting the holistic (physical, mental, social, emotional and spiritual) needs of the older adult so they may function at their optimal level. Providing an organizational structure which can support an environment in which qualified employees can experience job satisfaction and participate in education programs to improve performance. Being the continuing care community of choice for families of the older adult. Being a credible/recognized ministry of the Lutheran church and other religious denominations reaching out with loving Christian care to those we serve. 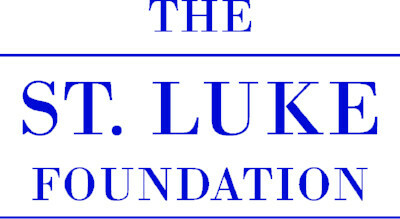 St. Luke Lutheran Home was founded in 1954 by the Lutheran Women's League of Stark and adjacent counties. This group of energetic and nurturing women from area Lutheran churches recognized a need to care for seniors who could no longer completely manage on their own. St. Luke Lutheran Community now has four facilities: North Canton, Portage Lakes, Minerva, & The Waterford. It is affiliated with the Evangelical Lutheran Church of America (ELCA), recognized by the Lutheran Church - Missouri Synod (LCMS) and acknowledged as an outreach ministry of both. Our mission to provide faith-based services to enrich the lives of older adults becomes more challenging as the number of older adults needing services grows. We welcome the challenge. With God's blessing, we will meet and exceed the needs of our community here at St. Luke Lutheran Community. 1954: St. Luke Lutheran Home was founded. 1965: A new facility was built on Applegrove in North Canton to accommodate 88 beds. 1971: It was necessary to expand, which allowed for the needs of 150 residents to be met. 1986: St. Luke Lutheran Community - North Canton grew to a 234 bed facility. 1993: The doors of the Independent Living addition, The Waterford at St. Luke, opened. Sixty-eight stylish apartments simplify the lives of older adults allowing them to remain self-sufficient, secure and comfortable. 2004: St. Luke Lutheran Community - Portage Lakes was established to meet increasing need for senior care in Summit County. Situated on the tranquil shore of South Turkeyfoot Lake, this skilled nursing and therapy facility can accommodate 56 individuals. 2012: St. Luke Lutheran Community - Minerva, a 30-suite assisted living residence, opened featuring a state-of-the-art, Main Street design. 2013: St. Luke Lutheran Community - Portage Lakes opened the addition of 15 suites of Assisted Living in March along with a beautiful Main Street-designed common space overlooking the lake. 2016: St. Luke Lutheran Community - North Canton opened a 2-story addition of 19 suites of Assisted Living and a state-of-the-art Rehabilitation Center including 24 private suites.